While most of the commercial RTOSs focus on standards and features of general CPUs, we have narrowed down the scope of our business in order to build a solid and niche foundation for our software. All the designs are aimed at the optimization of ARM Cortex CPUs. The software architecture supports and utilizes the specific features of ARM Cortex CPUs such as TrustZone, FIQ, ARM GIC, Cortex Timer etc. 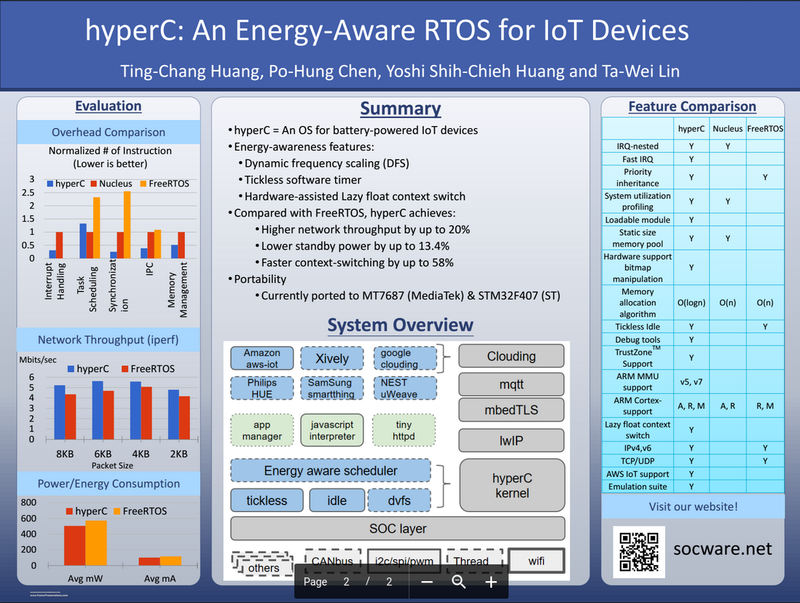 Thus, the competitive advantage of hyperC is the specialty in ARM Cortex CPUs. Furthermore, socware.net offers an executive time-based license without any royalties and product limitations, bringing you the most economic and problem-solving RTOS solution. hyperC is repeatedly tested by our experienced engineers, ensuring you its stability and reliability for any applications. Check out our products and find out what best suits your need!